Congressperson Dana Rohrabacher (R-CA) is quoted as saying that he now realizes the Pakistani government has been “playing [the US] for suckers all along.… I used to be Pakistan’s best friend on the Hill but I now consider Pakistan to be an unfriendly country to the US. Pakistan has literally been getting away with murder and when you tie that with the realization that they went ahead and used their scarce resources to build nuclear weapons, it is perhaps the most frightening of all the things that have been going on over the last few years. We were snookered. For a long time we bought into this vision that Pakistan’s military was a moderate force and we were supporting moderates by supporting the military. In fact, [its] military is in alliance with radical militants. 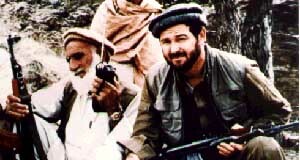 Just because they shave their beards and look Western they fooled a lot of people.” [London Times, 4/10/2011] Rohrabacher has been dealing with Pakistan as a congressperson since the 1980s, and even visited the mujahedeen fighting the Soviets in Afghanistan in 1988 (see September 9, 2001).